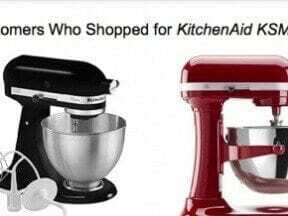 One-day sale, holiday sale, Presidents’ Day sale, or just about any sale you can imagine: Online retailers frequently offer top-grade products at a discount, broadcasting these specials via email or advertising them with pay-per-click ads. But how do merchants know how much to discount an item or if a discount is working? Discounting is a common retail tactic. At a high level, ecommerce merchants use discounts to attract customers to the store or “increase sales.” These may be good business purposes, but it may also be the case that some ecommerce managers do not put enough thought into discounting and do not adequately follow up to determine if the discount worked. There are several popular retail pricing strategies, including keystone pricing (double the wholesale price), manufacturer suggested retail pricing, different prices for different customers, and discount pricing. What follows is one approach to setting short-term retail sale prices and measuring to learn if the sale was effective. Before an online retailer’s managers can intelligently put an item on sale, those managers need to know how much that product costs to sell. This should be a fairly simple calculation. The Wholesale Price represents how much the retailer paid to buy or acquire the product. The Share of Freight represents how much it costs to transport each unit to the retailer from the wholesale supplier. For example, if a retailer buys 10 widgets for $10 and pays $5 to have those widgets shipped to a warehouse, the real cost for each widget is $1.50 — price plus freight. If an ecommerce retailer has a cost associated with shipping a product to a customer, it can be a good idea to also consider that cost. If, on average, the retailer will pay $1.00 of the Estimated Shipping Cost, the widgets now cost $2.50 each — Cost of Goods Sold. As a more specific example, imagine that you sell six-pound bags of Diamond Naturals Small Breed Puppy Food. Each bag costs $6.99 when you buy 144 bags at a time, and the average freight from the distributor to your warehouse is about 81 cents per bag. For pet foods, you pass the full cost of shipping on to the customer so that your cost per bag is $7.80 — $6.99 + $.81 + $0.00 = $7.80. The second bit of information ecommerce managers need to know before discounting a product is its sales history at the regular price. This really has two parts. How much profit do you make on each unit sold? How many units do you usually sell in a given time period, such as a week or a month? Before you can set a meaningful sale price for an item, determine what it costs to sell and what your goals are. 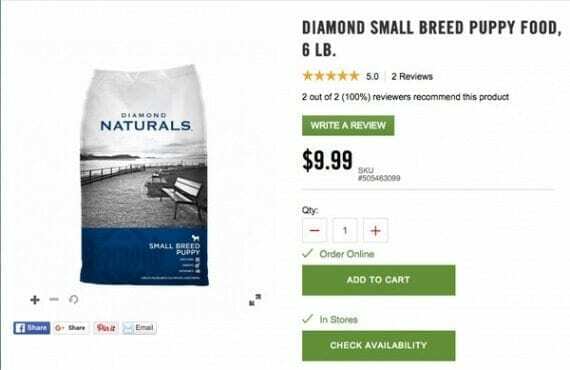 Returning to the Diamond Naturals puppy food example, we know that each bag costs $7.80. If we sell that bag for $9.99 at regular price, there is $2.19 in profit per bag. Next, based on data from previous sale, we may expect to sell 250 bags each month. So at regular price, we would make $547.50 in profit each month selling the puppy food. Each of these reasons will have implications on the price you set for an item and how you measure success. For example, if your goal is to increase profit, ensure that more money hits the bottom line. If your aim is to reduce inventory, you need a greater number of units to be sold, and so on. Once the sale has a goal, start to think about how much to discount the item. For example, imagine that you wanted to increase profit 10 percent in March for the Diamond Naturals Small Breed Puppy Food mentioned above. Offering a discount might encourage sales, so you decide to put the regularly $9.99 item on sale for $9.49 — 50 cents off per bag or about a 5 percent discount. At regular price, you would expect to make $547.50 in March. To do that, you would have to sell 250 bags of the puppy food at $2.19 in profit per bag. To hit your goal — a 10 percent increase in profit — you need to generate $602.25 in profit. At the new sale price of $9.49, you make $1.69 in profit ($9.49 – $7.80). Thus you need to sell 357 bags in March to hit your goal. When you set the discount price, make sure that the goal is achievable. In this example, the merchant would have to sell 157 additional units to justify putting the puppy food on sale for $9.49. If only 300 bags were sold, which is still more than normal, the ecommerce business’s profit would actually fall from $547.50 normally to $507.00. The store would have missed out on $40.50 in profit. In that example, $9.49 may have been too deep of a discount. However, if the goal had been to reduce inventory, the same sale price may have made perfect sense. The final step is simply to measure the sale’s actual performance relative to your goal, to learn if the sale actually met expectations. Also, consider measuring as you go. If, for example, your goal was to increase profit in March, and on March 5, you are already up 10 percent in profit and up 157 units sold, you may need to tone down the offer or, perhaps, try promoting the puppy food without a discount next time. Conversely, if on March 5 there is no indication that the sale price is driving any additional orders, you might send out another email or consider ending the sale and just collecting full margin.